FunDza has been a partner of the YearBeyond programme since inception. 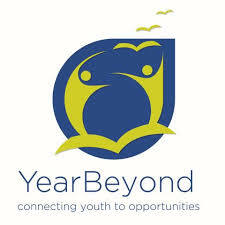 YearBeyond (YEBO) uses volunteers to run after-school programmes in English and Maths in Western Cape schools. FunDza has supplied the English material for their high school programme running in nine local schools. One of the many lessons we have learnt over the years has been how important the volunteers are – you can have a great programme, but if the volunteers don’t themselves believe in it, and know how to implement it well, then it will not be as effective as it could be. So training is always important. We ran initial training at the beginning of the year, and, did some school visits in the first six months. As usual the schools have had very different challenges and issues, and these individual site visits to listen and advise the volunteers at a particular school are very useful. In July we run refresher training, which combines catching up with the volunteers about the online course, which is a specially curated course for the learners, as well as bringing in new book material, and brushing up on the ever popular games and ice-breakers. This year we also focused on writing, and encouraged volunteers to use freewriting with their learners, as so often classroom-based writing focuses heavily on ‘right’ and ‘wrong’, and very little on writing as expression and meaning-making. Some of the volunteers’ own work in the session was powerful and moving. The online programme is easier to track, as we collect the data. However, as we have learnt, there are many times that schools are not able to use computers or tablets, and so it has been more difficult to get a feeling for what has been happening offline. This year we created a simple google form that volunteers need to complete after each session. This has been helpful, especially when comments have been detailed and particular, as we have been able to support individual schools where necessary (eg one school was having behavioural difficulties, so we encouraged them to divide the grade 8 learners into groups rather than teach them as a class). Learners were excited with presenting the poems and writing their own poems. The highlight of the session was when the learners showed enthusiasm towards the discussed topic. I think this was mainly because it was something they could relate to. Learners were engaging, discussing and expressing their opinions. Some learners are not taking the sessions seriously. They laugh when their peers are reading, trying to disrupt the session. Some of them still feel uncomfortable reading out loud. One of the schools suggested that FunDza run a YEBO writing competition for the high school learners enrolled in the programme. We thought it was a great idea, so the essay competition – using as a subject “Languages and Me” – has just been opened. Prizes will be awarded to top essay writers at each school, and then an overall prize for the top essay of schools combined. In initial discussions with volunteers about this topic, some of them got so involved in the various issues surrounding language that they asked if volunteers could also submit essays, so a volunteer category has also been opened! A sample essay was also loaded onto the online course as an example for learners to get inspiration from. You can read this essay here. At the end of the year we will publish the learners’ own essays on the site too. We have been asking volunteers to encourage learners to complete the online programme independently in their own time, on their phones, due to the many online constraints at school. The few learners who did manage to complete the first half of the course by June (38 in total) received certificates and chocolates, and volunteers reported that this was much appreciated. We hope that this will encourage more learners to do this, so that the YEBO course is just the base for the development of their lifelong reading habit.